Exceptionally elegant but beach user friendly! 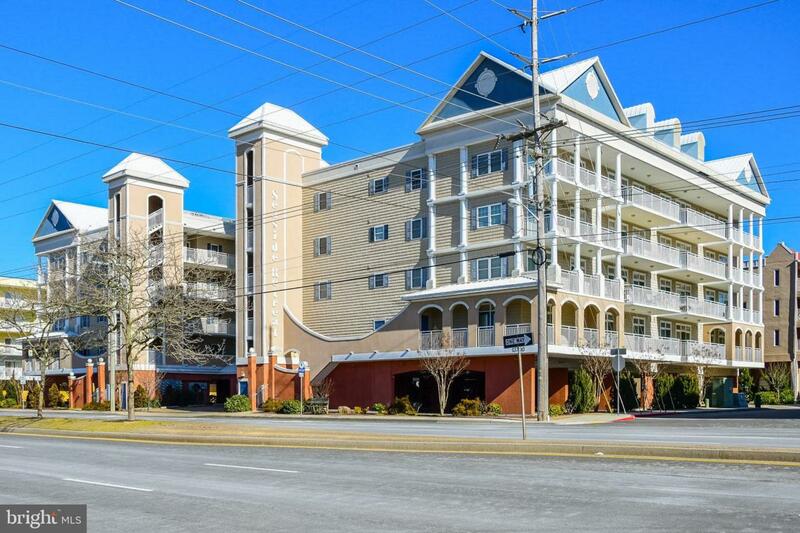 This 3BR/3Ba offers a professionally designed interior and furnishings throughout, all just steps off the beach in one of North Ocean City's best buildings! View the ocean with morning coffee or sunset cocktails from the wide, custom tiled balcony. The top quality furniture and furnishings to convey with acceptable offer. Kitchen has granite two tier counter, coastal style cabinets, stainless appliances, including brand new refrigerator. Master Bedroom includes sliders to access balcony, and walk in closet. Sellers are the second owners, and this unit has seldom been available to rent, but the potential is excellent. Building amenities include rooftop outdoor pool, 2 parking spots, elevator.